Caption: Hockey and Racing fan! 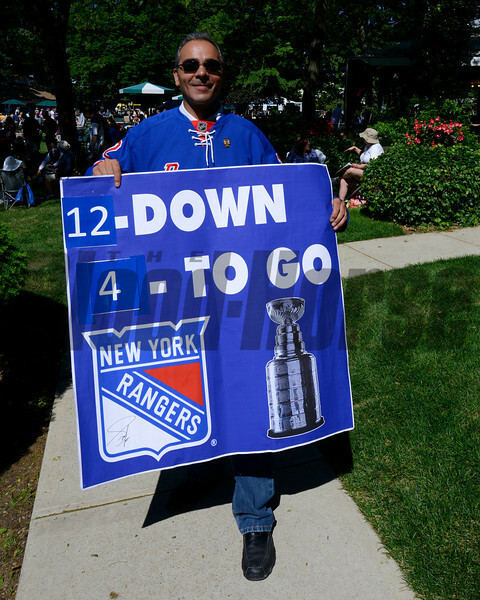 New York Rangers in Stanley Cup hockey championship. Belmont Stakes day on June 7, 2014, at Belmont Park in Elmont, N.Y.